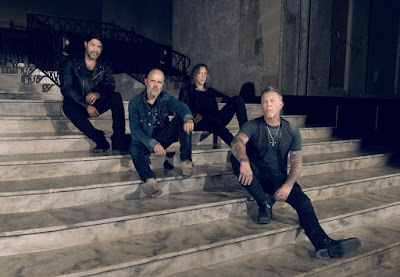 Metallica have added a second show in Mexico City on March 3 due to overwhelming demand. “You guys are awesome!! !,” says the band. “Tickets for the March 1st show have already sold out in less than two hours... perhaps you would like another night? The schedule is clear and we’re excited to add a second show at Foro Sol in Mexico City on March 3, 2017." Each ticket purchased to the Mexico City shows will include a choice of a physical copy or the digital version of the group’s newly-released tenth album, “Hardwired…To Self Destruct.” The offer available nationwide in Mexico only and will run from November 23, 2016 until July 1, 2017. A Fifth Members presale starts November 28 at 10:00 AM CST for Legacy Members, and all others at 11:00 AM CST, while a Banamex pre-sale begins November 29 at 11:00 AM CST, with general public tickets available November 30 at 11:00 AM CST at Ticketmaster.com.mx. The Mexico City dates with special guest Iggy Pop land just ahead of a series of South American shows that include stops at Lollapalooza events in Brazil, Argentina and Chile a few weeks later. Metallica will begin 2017 with shows in South Korea, China, Hong Kong and Singapore.